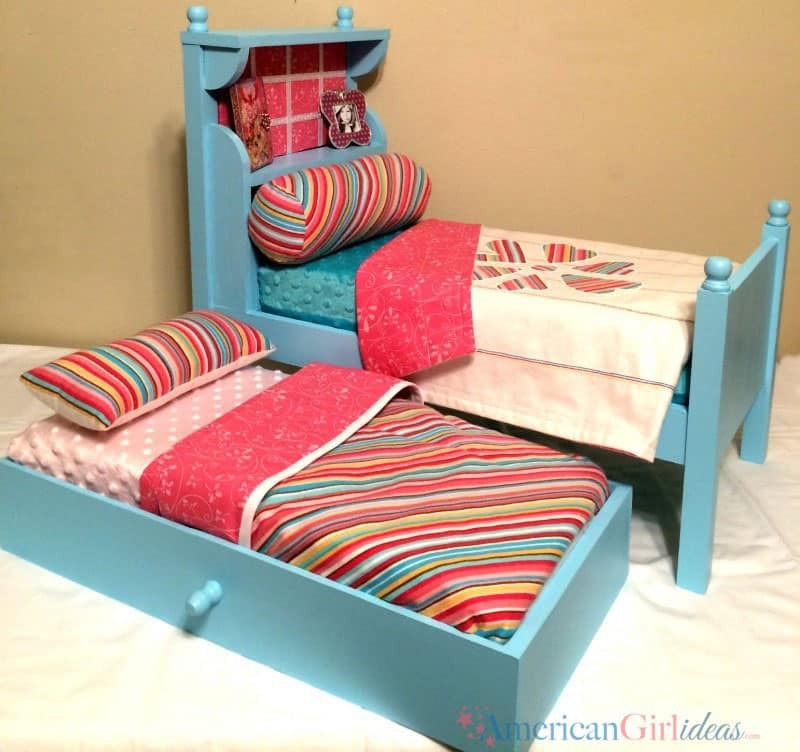 30 DIY American Girl Furniture Projects That'll Save You a Stack of Cash! 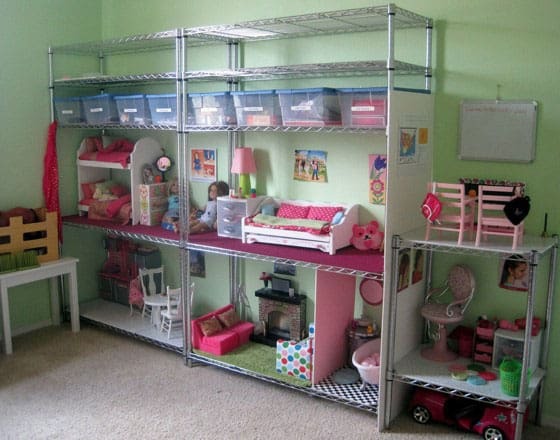 Home > DIY Projects > 30 DIY American Girl Furniture Projects That’ll Save You a Stack of Cash! 30 DIY American Girl Furniture Projects That’ll Save You a Stack of Cash! 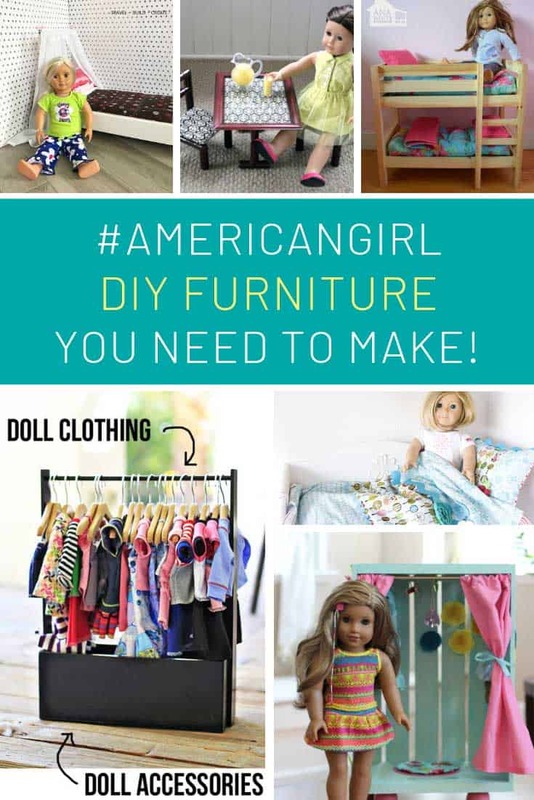 Do you want to make your own American Girl furniture? These projects are the perfect fit for any 18 inch doll. And we have doll house plans that are the perfect size too! 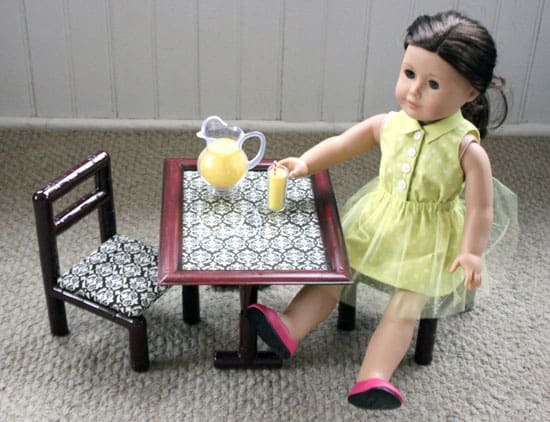 If you can’t quite believe the prices of American Girl furniture it’s time to get creative and make your own. We’ve searched high and low to bring you a collection of amazing DIY 18 inch doll furniture projects your kids (and their dolls) will LOVE! 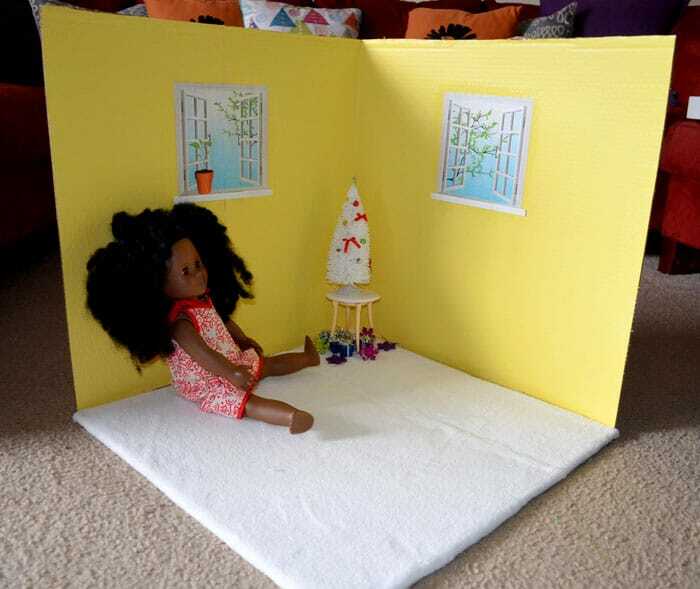 And because every doll needs somewhere to put her furniture we’ve included some free plans for American Girl doll houses too. 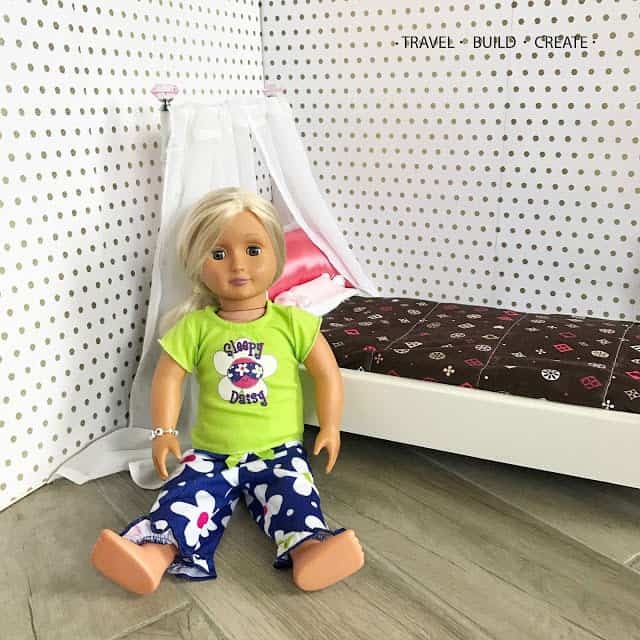 We love this doll bed because it started out life as a chair, and you know how much we love learning about new ways to repurpose old chairs! 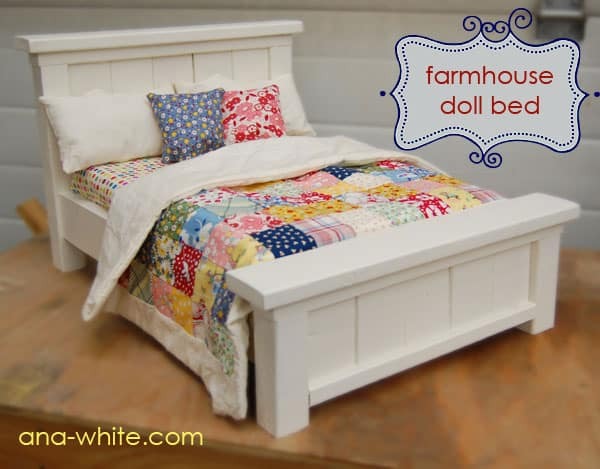 If you’d like your doll to have a bit more room to stretch out in bed make her one of these gorgeous farmhouse beds. 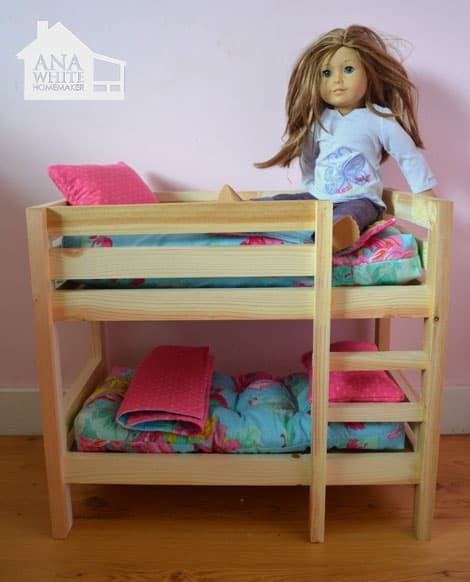 This bunkbed is sturdy, easy to make and the perfect size for an 18 inch doll (and her friend) to sleep in! We love repurposing projects around here, in fact we just rounded up a collection of amazing ways to repurpose picture frames, and here we find another one! What a great idea to turn a picture frame into a fabulous table for American Girl. 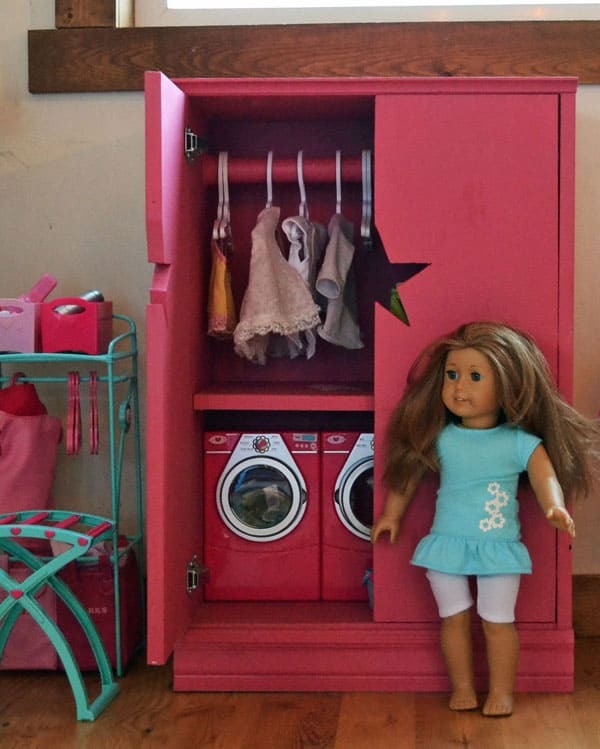 What a fabulous way to turn an old crate into a closet for your child’s doll! Wow an 18 inch doll will live in the lap of luxury in this three story town house! Would you just look at that roll top bath! 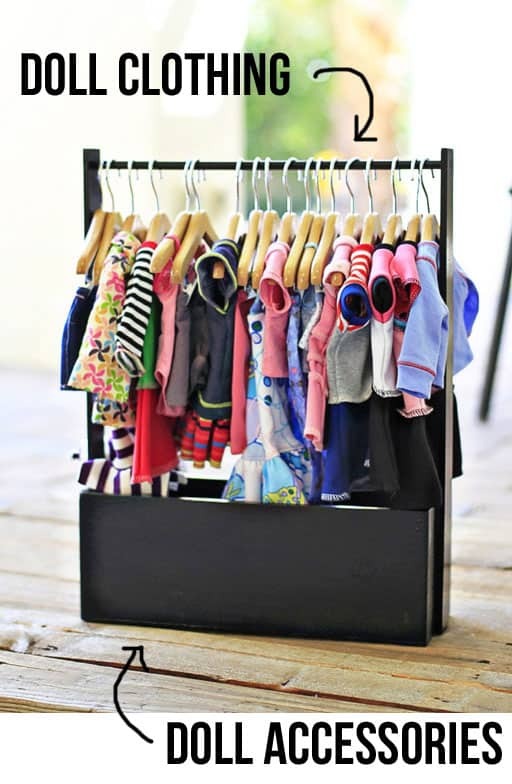 We love this storage rack with a home for accessories at the bottom, maybe we should make a life sized version to store our own clothes! 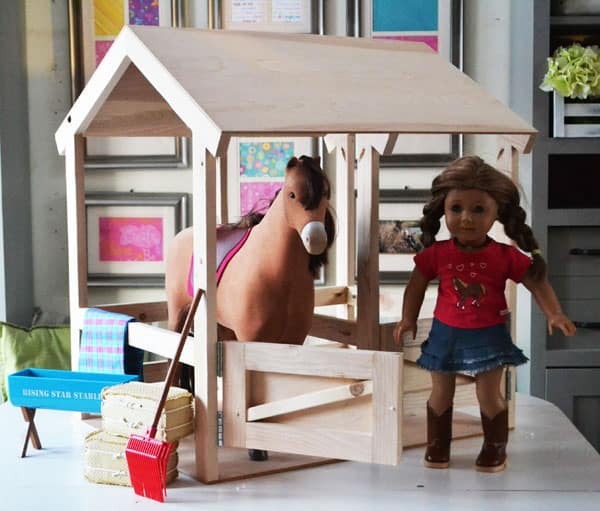 If your daughter’s doll loves horses they’re going to need somewhere to sleep right? 18. DIY AG Bathroom – In 10 easy steps! Every doll needs her own hammock to kick back and relax after a long hard day. 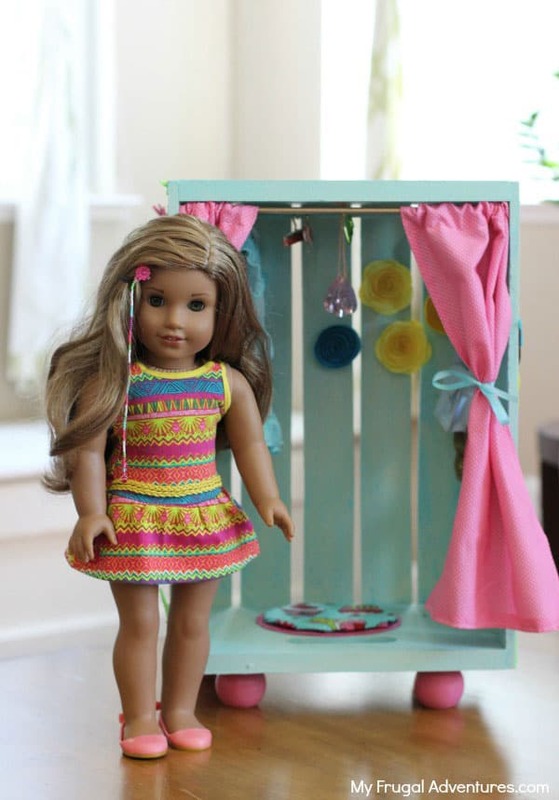 You know how much we love IKEA hacks around here, especially ones that turn boring bookcases into fabulous houses for American Girl dolls! 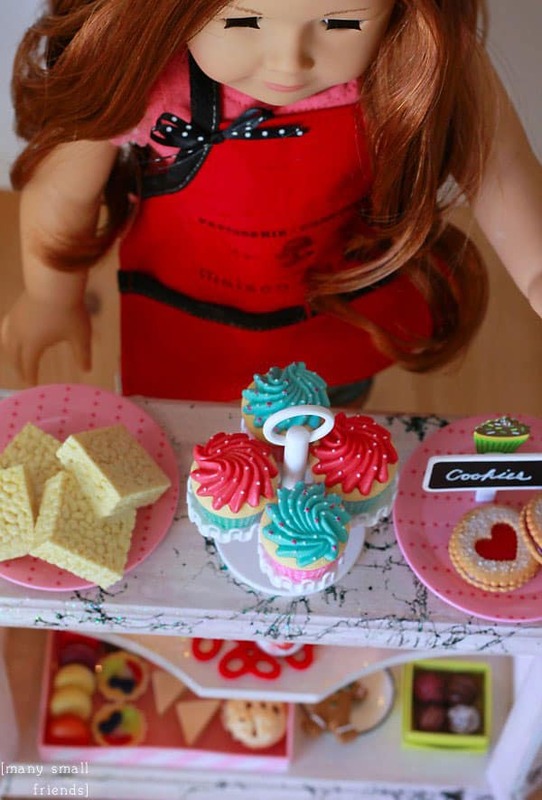 Inspire your daughter to be an entrepreneur by making this lighted bakery case that’s the perfect size for her 18 inch dolls to start up their own business. 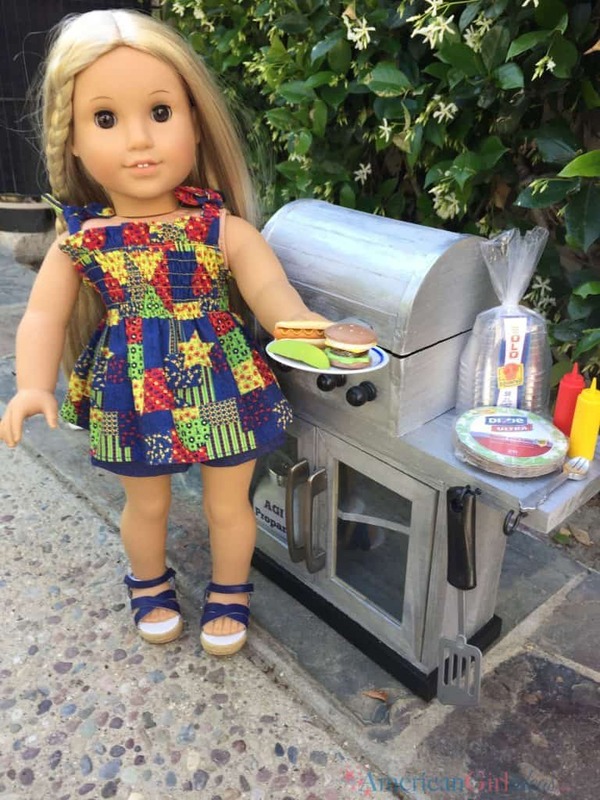 You’ll need a little patience with this project as there is a lot of glueing to be done, but your kids and their dolls will LOVE their new backyard grill! 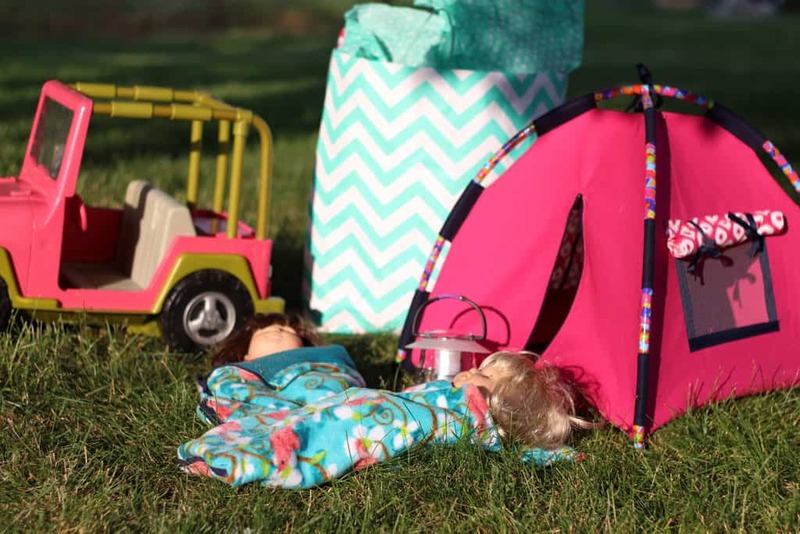 Every American Girl doll needs a tent for her summer adventures. This one is surprisingly easy to make, and we love the funky tent poles! 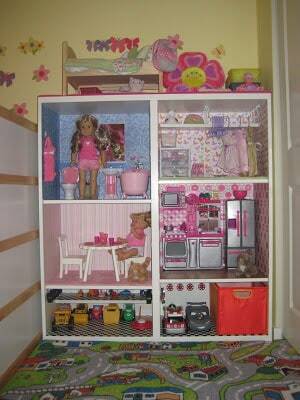 If you don’t have room for an American Girl sized dollhouse try making one of these collapsible rooms instead! 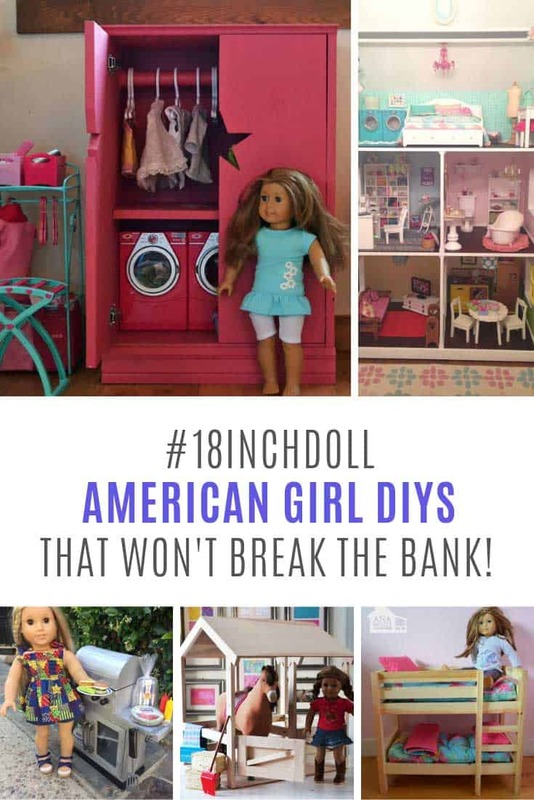 These free plans will show you how to make a closet or laundry room cabinet for your 18 inch doll, because even American Girl has to do laundry sometimes right? IKEA Hack alert! 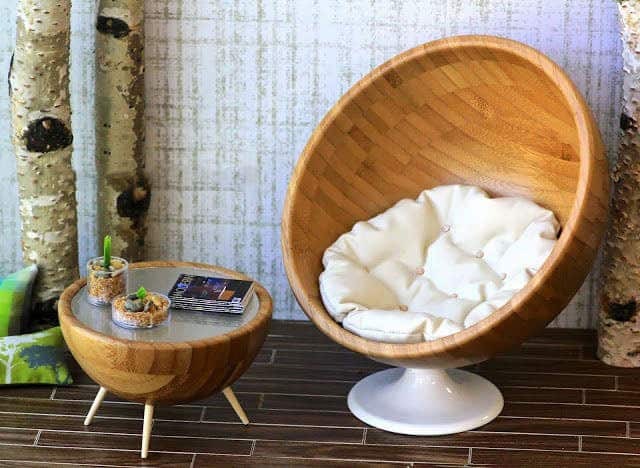 This bowl chair is quite literally made from a bowl and looks fabulous! Make sure your doll gets a good night’s sleep with this adorable sleeping bag and pillow set. 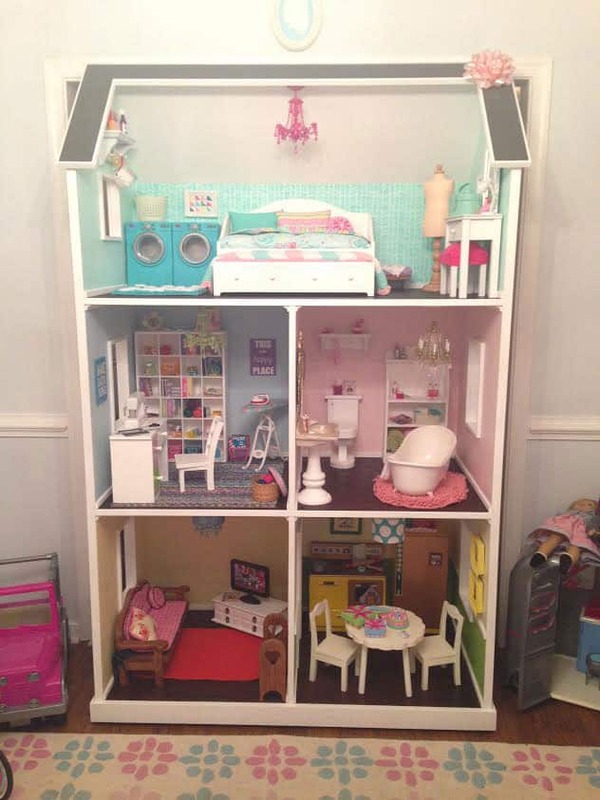 This idea for an American Girl dollhouse is genius. Its the perfect place to build a home using all the furniture and rooms featured in our collection!